Backup GoPro movie files every time you can do it! Any moment of life is unique, so if you are lucky to shoot it to your GoPro, the history waits that you will take measures to secure these data. It is not a joke or a proverb; any recorded fact of human history and life has a value. Do not rely on memory cards exclusively; these devices are prone to mechanical and electrical damage, and have a notorious habit to degrade, losing a memory capacity and data consistency at some unpredicted time. Therefore, use Handy Backup to copy GoPro movies to different media. As you are planning saving your GoPro movies, let us help you selecting a media that will exactly fit your needs for a long time. Forget not only about extra memory cards (as explained above) but also about USB pen drives; these flash drives are prone to exactly the same problems as memory cards. A better choice is using USB external drives, HDDs or even SSDs, as the later type of devices often has some driver software allowing stopping the memory degradation, and the mechanical construction of these devices is also much more sturdy than of pen drives or cards. Another good choice for storing videos is different cloud file services. Using Amazon S3, Dropbox or Google Drive, you can store your videos and make an access for these files over the Internet just from any point of the world (obviously, if that point has some access to the Internet). An optimal combination of data storage includes a cloud account storage and an external drive(s) together. Relative cheapness of disk storage space and the effective access to files provided by cloud services doubles both the reliability and the comfort of storing your GoPro backups. Handy Backup allows copying your GoPro data to almost any destination existed, including local and external drives, NAS devices, FTP servers and clouds. Using Handy Backup, you can create tasks automatically storing the content of your GoPro to cloud sites or to external disks. Scheduling GoPro backup by time or by plugging a USB device ensures the result of action. These options, along with other advantages such as encryption, completing missed tasks and possibilities of full, versioned, incremental, differential or mixed backup, make Handy Backup one of most equipped and effective solutions for backing up GoPro shoots. 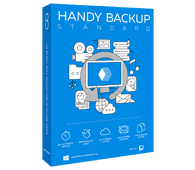 The basic edition of Handy Backup always contains all necessary instruments for backing up GoPro videos and any other personal data to or from your PC! Free 30-days trial version! Good news: Handy Backup can automatically run a task of data copying when you plug some USB device related to this task to your computer! 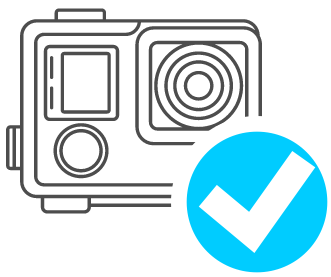 If your GoPro device are recognizable as a USB storage, you will completely automate your GoPro backup! Let us demonstrate a sequence for copying your GoPro files to a local “Video” library on your computer. Please follow the sequence of actions listed here to create a task. Connect your GoPro device to your PC using a USB interface before you start. 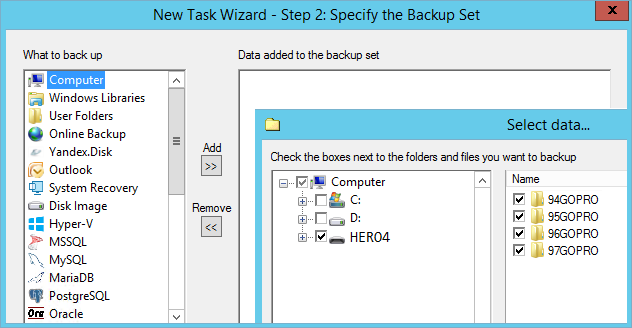 Open Handy Backup and create a new backup task. On a Step 2, open a “Computer” data source and find your GoPro device as an external drive. Select a folder with your movies by marking a checkbox against it. 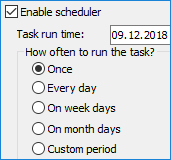 Return to the task creation by pressing “OK”. Proceed to a Step 3. Again, select a “Computer” as backup destination. Select your user folder “Videos”. Proceed to create a backup task by choosing different options on Steps 4 and 5. Go to a Step 6. Select an option to run the task each time you will connect your USB device to a PC. Then finish a task creation by giving it a name. Now all things done. For now, the task will run every time you will connect your GoPro device to your computer, regardless of a USB port you will use for it. Surely, you can also set up other folder instead of “Videos” to store your GoPro backups. The basic principles of task creation are the same as for backing up files from your GoPro. Choose a “Computer” option on a Step 2 as a data source and mark a folder where you store your GoPro files. Then select a “Computer” and choose an external drive on a Step 3, or copy files to a cloud. Note: For each exact cloud service, you can use one or more methods of backing up to it. Please read different articles on our website about how to set up and fine-tune cloud storage backups. For some cloud services, such as Amazon S3, Handy Backup provides a dedicated connection tool. For external USB drives, you can schedule the task exactly as for copying from GoPro, to run when you will plug a particular USB device to a PC. For cloud backups, you can also choose scheduling by time, setting up a period when Handy Backup must run a video backup task.